GFSA has successfully designed and manufactured Seawater Filters for many years. 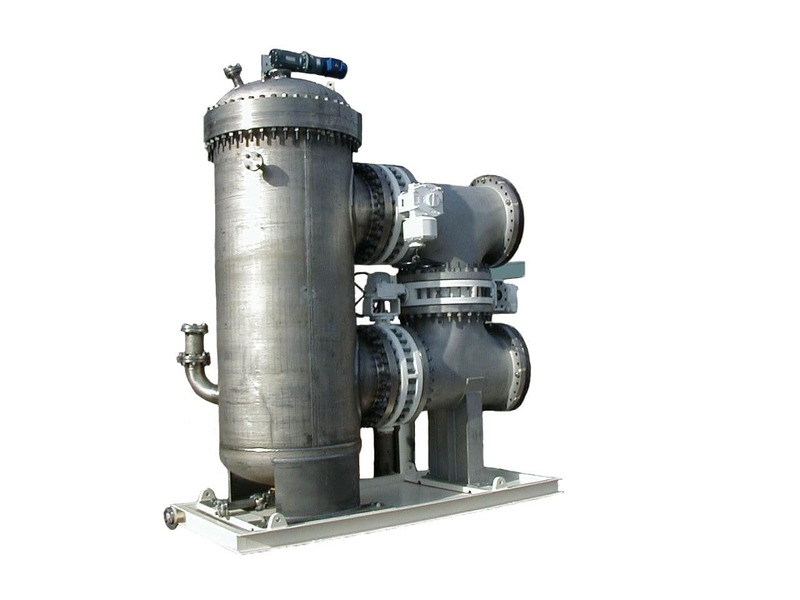 Seawater filters are used to protect downstream equipment such as pumps and heaters from fouling and/or plugging which could lead to a potential heat transfer operation upset in addition to increased corrosion problems. GFSA filters operate by removing contaminants such as organic matter and plankton (which can be particularly problematic during seasonal bloom periods), without the backwash cycle it can be very difficult to clean the filter screen. Materials for the filters and associated piping are carefully selected to suit process conditions and may include both Duplex and Super Duplex Stainless Steels. Carbon Steel is also provided but supplied with a rubbing lining or glass flake lining to protect the vessel from corrosion. 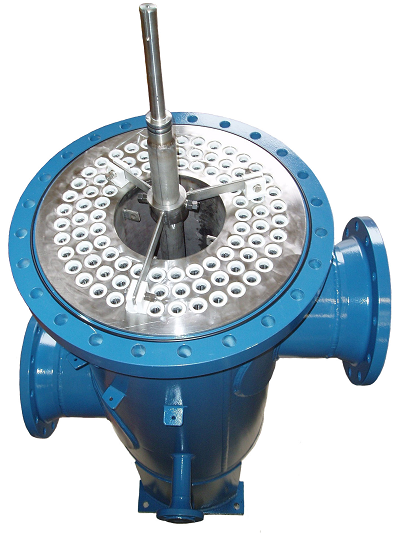 The internals of the filters consist of a wedge wire filter element assembly, and a rotating backwash arm assembly. The wedge wire filter element assembly comprises numerous robust wedge wire filter elements (slot tubes) which are capable of withstanding high pressure differentials without incurring damage. An even spread of contaminant collects along its complete length and enhances backflush performance. Seawater Filters consist of a vertical filter housing, designed and manufactured to recognised International vessel code, with an ellipsoidal bottom head (2:1) and a full-bore bolted top closure which allows access to the internals. The top cover can also incorporate a semi-ellipsoidal (2:1) head and a motor mounting flange pad. Filtration units tend to be supplied for change-out during operation, they consist of 2 x 100% options or other combinations to suit the sparing philosophy; the piping system allows for taking one unit off line whilst in backwash operation.